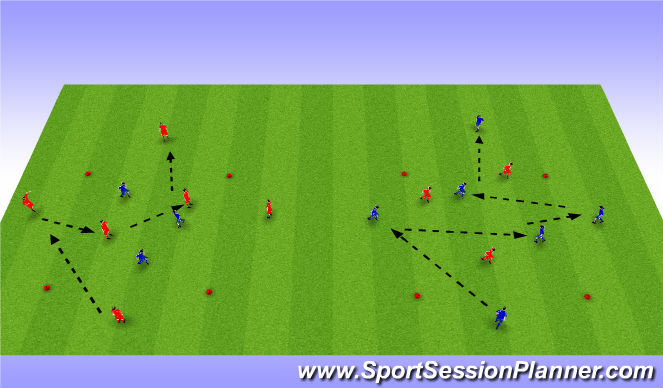 Coaching Points:key players midfielders,first touch,fast decision. 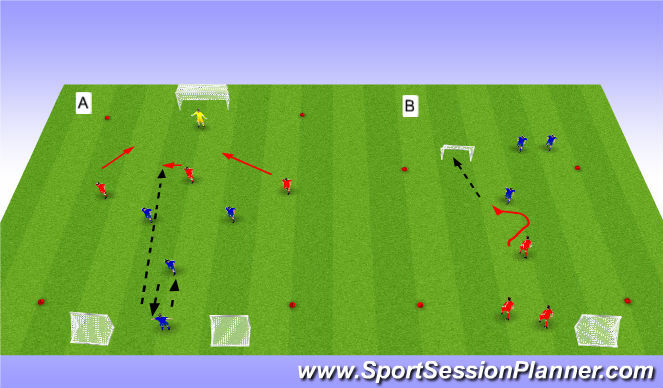 Organization:split 2 groups like in the picture.Drill A for the understanding and lecture of long ball(focus on defending) and second ball.Drill B 1vs1 focus on defending(strong side,weak side). Instructions:25 min and switching drills.